Photocopies of the following, if transferring from an institution located in the United States: SEVIS I-20, I-94, a valid passport, and transfer eligibility form. An official TOEFL score (Paper-based score of 500 or better/Computer-based test score of 173 or better/Internet- based score of 61 or better). IELTS required scores for undergraduate admission is 6.5. For students whose native language is English, an ACT composite score of 21 or SAT score of 1060 (Verbal + Math) is acceptable. SAT or ACT scores can be accepted in lieu of TOEFL for students that are non-native English speaking upon review. Use the Apply now link. Complete the application and submit application with $25.00 application for online application along with required documentation. Applications submitted without payment will not be processed. What are the TOEFL/IELTS requirments? An official TOEFL score (Paper-based test score of 500 or better/Computer-based test score of 173 or better/lnternet-based score of 61 or better). An official ILETS score of 6.5 or better. For students whose native language is English, an ACT composite score of 21 or SAT score of 980 (Verbal + Math) is acceptable. How do I apply for the F-1 Student Visa? You must apply for your visa well in advance of your arrival, as it can, in some instances take several weeks, and occasionally longer, to obtain the student visa. The 1-20 form will be mailed to you once you have been accepted to the University of Mobile. Your 1-20 is required when applying for an F-I student visa. Use the 1-20 to obtain an F-1 visa at a U.S. consulate and then enter the U.S. with the F-I visa and 1-20, to be admitted by DHS in F-I status at the port-of-entry. All new students coming in F-I status must pay a SEVIS fee prior to applying for your visa, Pay SEVIS fee by going here. What documents do I need to apply for a student visa? A copy of your financial support documents, i.e. evidence that you have sufficient funds to meet the expenses of studying at the University of Mobile, e.g. bank statement. An application fee and an interview will also be required. There have been (and continue to be) changes in the visa application process and these changes are usually reflected on the consular Web sites. Flow of the F-1 student process? What happens if I need to leave the US for temporary absence? Be sure you have a Student Visa F-l. If you entered on a B-2 “Visitor- Prospective Student” Visa, YOU MUST OBTAIN A NEW F-1 Student Visa within 60 days of your original arrival date. Your 1-20 form and 1-94 card. The International Student Advisor must endorse your 1-20 in the Admissions Office prior to your travel. Your 1-94 card will be taken when you leave the US. Be certain the 1-94 is taken. A new one will be issued upon your return.  You must attend the University of Mobile because it is listed on your 1-20 as your university. If you are transferring to another institution, you must obtain an 1-20 from that university. Student must have been lawfully enrolled on a full-time basis at a DHS-approved school for one full academic year before being eligible for CPT. Available only while student is in F-1 status, before completion of the educational objective. OPT is typically used after a completion of the course of study, or , for a student in a bachelor’s or master’s degree program, after completion of all course requirements for the degree (excluding thesis or equivalent). However, there are three types of OPT. See Designated School Official for more information. Am I able to apply for an social security number?